Home PhD life Getting things done! Ok, I admit it. The title is kind of ironic! Given that I haven’t written anything in a long time I am not the most appropriate person to talk about commitment. And I will also try to explain you why, and “justify” myself. It seems like my way of dealing with ToDOs is quite peculiar, and most likely extremely wrong. Usually what people do is following things in as straight as possible line. If one has a deadline approaching, he/she will try to work on that in a steady way and submit the result in time. Dedication spent by people versus time, when deadlines are approaching. As you can see in the graph above, ideally one should have a steady increase in the effort or dedication spent in one project and reserve some time for correction and refinement. If the deadline is shorter, the increase should be steeper in order to achieve that (provided that both projects require the same total amount of dedication – same area under the curve). In blue the dedication spent ideally on projects; in red the dedication I spent on projects versus time. Clearly the process is not optimised. I assumed, for simplicity, that also for myself the amount of dedication and workload for a project is the same as the ideal case (same area under the curve). In my case, though, you can appreciate more interesting features, from some useless sparkles about later projects, over very abrupt edges to the most shameful delayed submission. So I asked myself: Why is this happening, and how to avoid it? Having just one project at a time. Let’s have a look once again at the dedication versus time graph, but let’s project that in a 3D space. We have the dedication in the z-axis and the time in the x-axis, and we put all the possible work-related things you can do in the y-axis. On the left it is shown as the ideal case looks like in this 3D space; on the right instead it is how my mind works. In fact I have noticed that I get bored quickly by doing just one thing, and I prefer to jump from one thing to the other to keep my attention high. In addition, when I have just one thing to do, I easily trick myself. I always think that I have just one thing to do, and so much time.. And as a result, I keep postponing the work. This is a tough one. I have never been very organised. I always start with the best intentions, and for a while I stay on track. But I’ve never got used to any of the good habits I tried to impose myself. From one side I truly believe that when you are inspired about something, you can’t wait to have your lab notebook in front of you. Or implement that amazing idea later because so was planned or scheduled. On the other hand, when there is much work to do, or a complete lack of inspiration, it is good to have everything in one place and reminders for the things to do. This is more like a work in progress in the quest for the perfect organisation suite. This what I found most helpful even for a messy mind like mine. First of all, Evernote! I found that it is perfectly integrated with my work flow. I have it on the phone to type down quick ideas, the web version works decently, and the desktop one works fine on Linux with wine. Some awesome features that made Evernote win the battle for becoming my e-labbook are the hand-writing recognition and the web clipper. The first one is ideal if you still want to write down your notes by hand, but you have more than one notebook, and/or you write down indiscriminately on the first piece of paper in front of you; what you need to do is just to take a snapshot from your evernote app and the note will be saved, as well as being searchable like it was a pdf. The web clipper instead it is great to save all your browsing. You can add notes just clicking on the webclipper and save the page (as screenshot, pdf, or simplified text versions, etc…) to your notebook. It is not the only tool that helps me, of course. Mendeley is the most awesome discovery I made last year; it keeps papers organised, and recently it has been implemented for android, to have access to your library everywhere. Last but not least, reminders! Those are absolutely essential. Given point 1., they are the only way to survive my forced busy schedule. I consider Google Keep integrated with Google Now very good. Nevertheless, my problem is mostly that the idea itself of organising stuff push me away. Therefore I need something that reminds me that I need to do that. This is why Any.do seems that it could work fine for me. In fact once a day, it will start a planner on your phone asking you at what time it should remind you to do the things you have set. This is the moment of the day in which I force myself to add the other things to do that are not in the list. I still don’t have a final verdict on it, but so far so good. An honourable mention goes to Habitica (previously known as Habit RPG). I used it for nearly two years. Basically, it transforms your life in a role play game, giving you XPs and rewards once you reach your goals. You can set healthy habits you want to make lifelong, or daily duties, or one time tasks. It makes everything playful and enjoyable and you can join guilds (like the Graduate Students Guild) of people having similar tasks and see what they have set to improve themselves. At the end of the day, isn’t life about gaining experience (XPs)? Ah.. Almost forgot…. 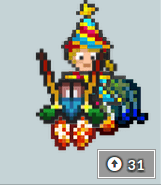 and you can have a Mantis Shrimp as mount! This is something I learnt very recently. In this first year of my PhD I had lots of deadlines, and in general I had to handle a generous amount of stress. In the beginning of June, several deadlines overlapped. Once everything was over, I decided to get back on track doing experiments and more exciting things than writing documents. Unfortunately, I underestimated how much those deadlines tired me. It also was more than a year last time I had a proper long time off work. So instead of doing cool stuff, I found myself very tired, unable to be really productive, demotivated. The more the time was passing, the more I was feeling like I couldn’t rest because the things to do started to accumulate and the more I was feeling tired and demotivated. Just now, after few months, I am actually back on track and ready to be 100% efficient.